This threading game provides an abundance of possibilities. 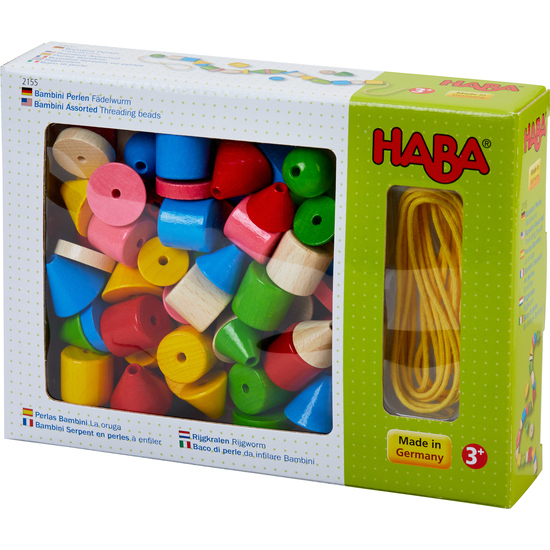 Children can creatively thread colorful beads, making necklaces, bracelets and even belts as easy as pie. The varying shapes extend an open invitation to little fashion designers to devise new creations, again and again. The threading game can be easily taken along, providing fun wherever you may be. Contents: 72 threading beads in 6 shapes, 2 threads.